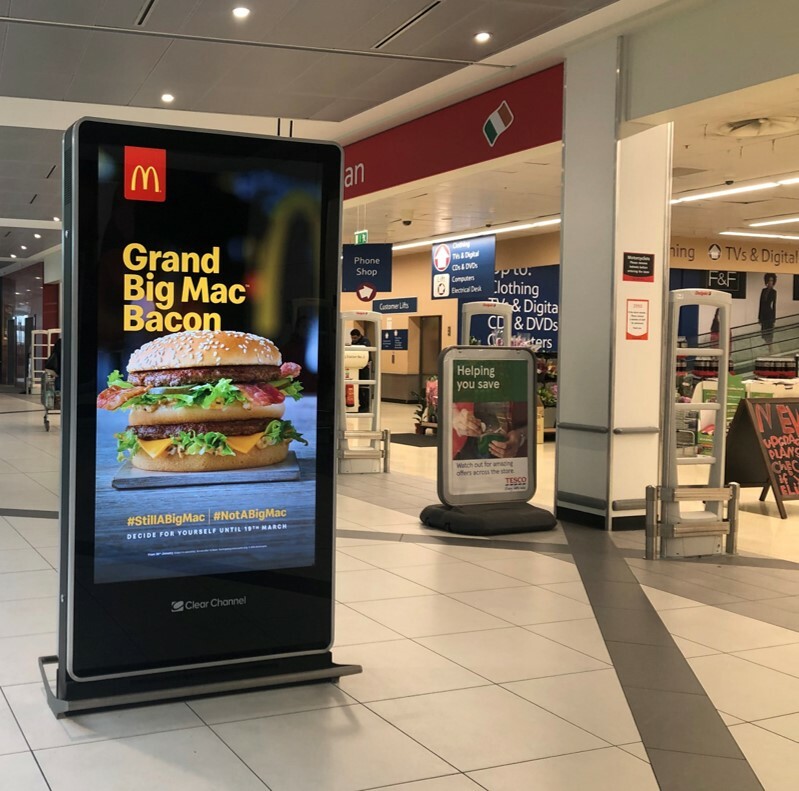 McDonald’s has launched an innovative Out of Home campaign integrated with Dynamic capabilities to help settle the debate that has been stirring since it launched the Big Mac with bacon – Is a Big Mac still a Big Mac if you add bacon? To help intensify the conversation, Dynamic enables percentage results and location shout- outs to be broadcast on digital formats across Ireland’s main cities. 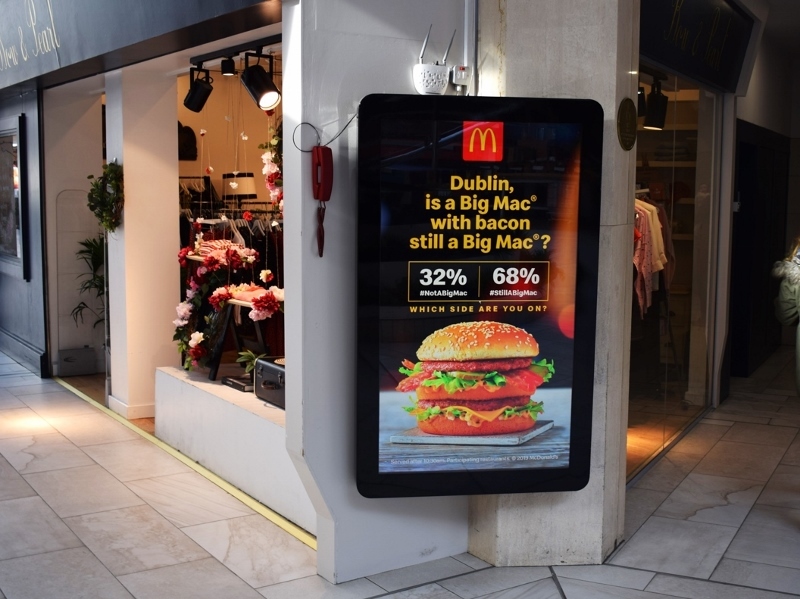 In a media first, screens are populated with results from an online poll facilitated by McDonald’s partnership with Joe.ie, where users cast their vote using associated hashtags (#NotABigMac #StillABigMac). The results are ingested into our Dynamic platform to showcase how people are voting in the Big Mac debate. The wider OOH campaign, with an extensive classic and digital portfolio, aims to build strong awareness of the iconic burger with a twist, as well as spark a conversation among the audience. 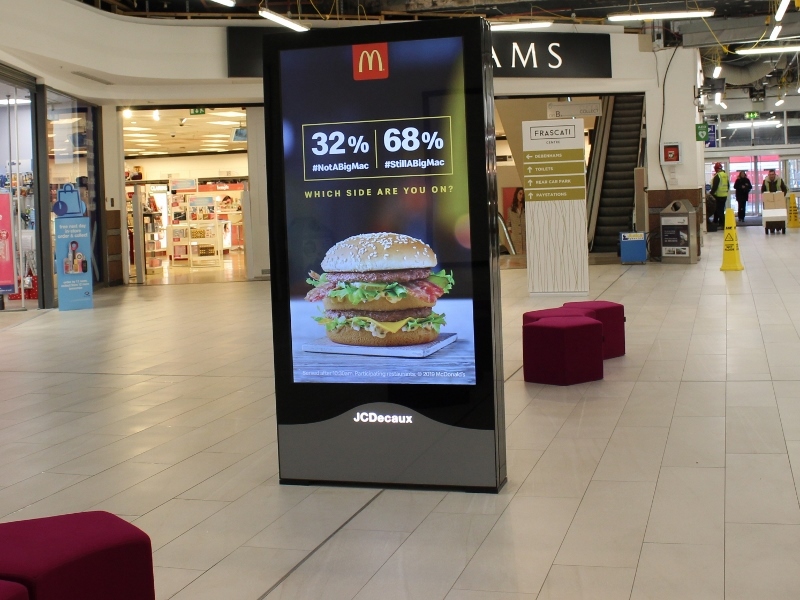 The campaign extends across all environments displaying on JCDecaux, Exterion Media, Clear Channel and Wide Eye Outdoor networks to ensure maximum visibility alongside proximity targeting and POS influence. Mediaworks and Source out of home were responsible for the OOH planning and placement while creative was provided by Leo Burnett. Running from 4th– 24th February, day part scheduling will be employed in cycle 4 across Retail & Commuter Digital with the Dynamic content scheduled to display after midday. 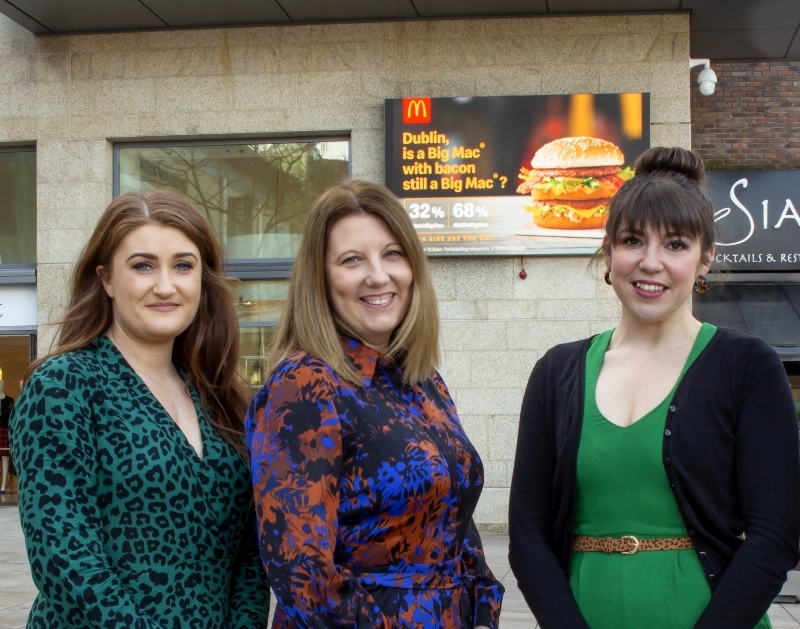 “Out of Home continues to be an integral reach driving part of our media plans in McDonald’s and the innovation that we are seeing coming into this channel is really exciting from a brand perspective.